Every business will have its own theory as to what drives the most attention from customers. Amazing offers, promotions or deals are one way to attract attention from passers-by, but having a good offer isn’t always enough. You need something genuinely eye-catching, large, vibrant and colourful that will make passersby take note of what you are offering. 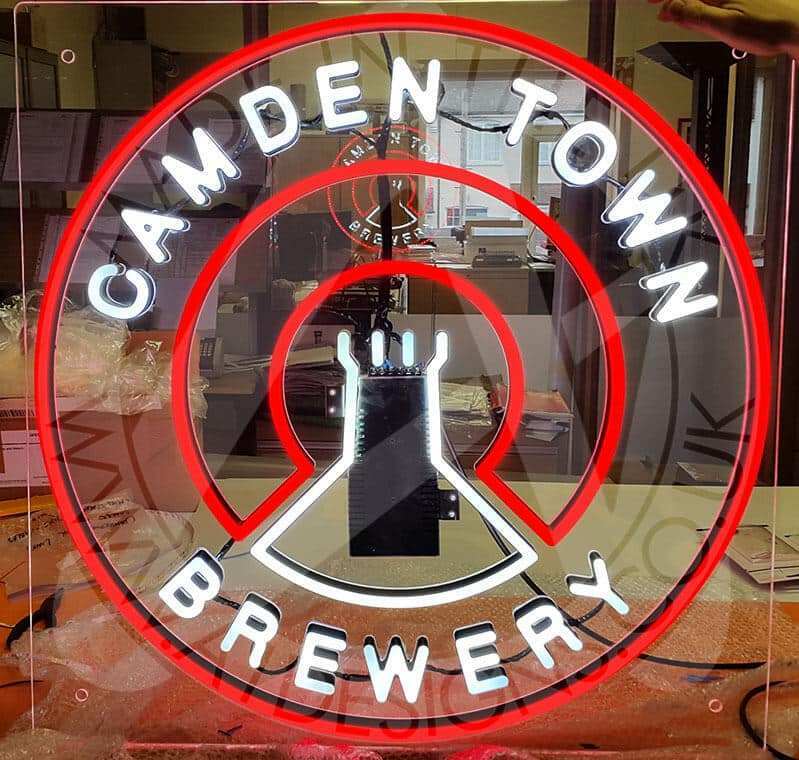 With bright signage, this can be achieved. 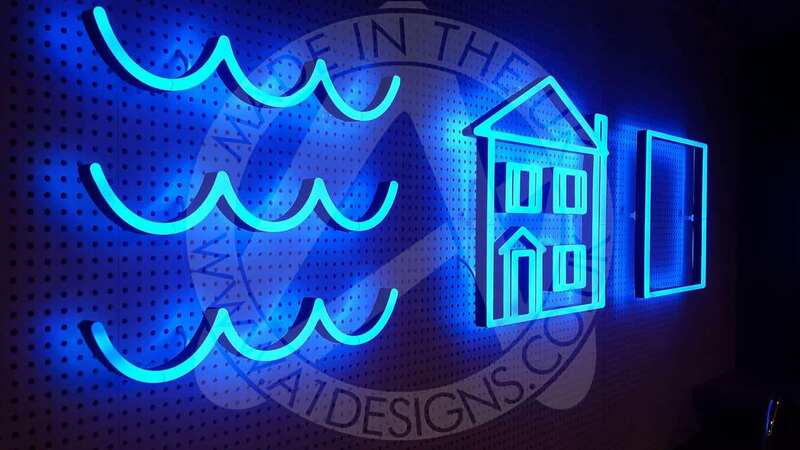 With bright signage, the world is your oyster! 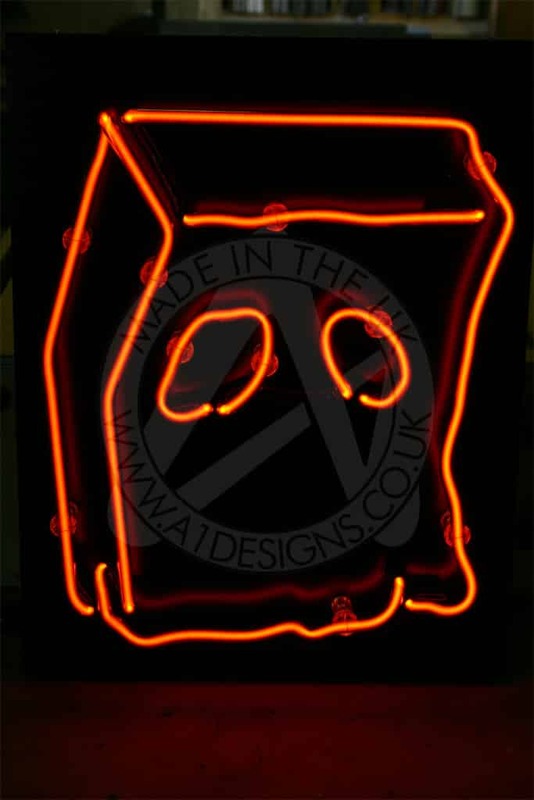 When talking about colourful or bright signage, one of the first things people will think of is neon. 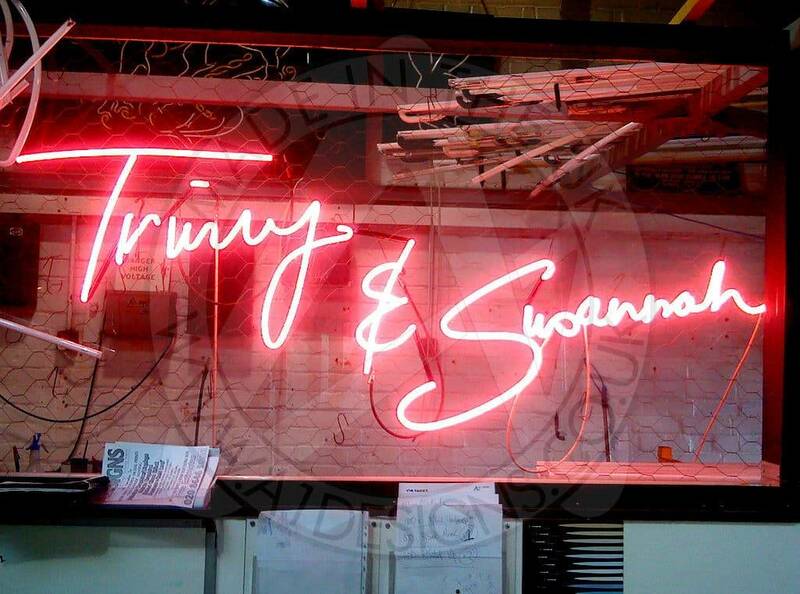 Neon signs are a wonderful way to attract custom to your business, with their strong aesthetics and the way they manage to light up any window with ease. 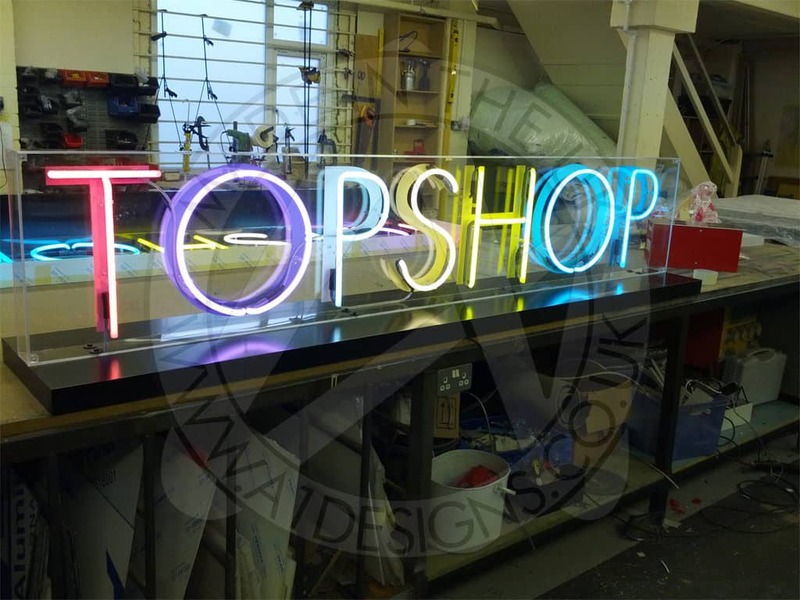 Although neon signage has been at the forefront of business advertising for some time now, the LED market is starting to become incredibly popular. 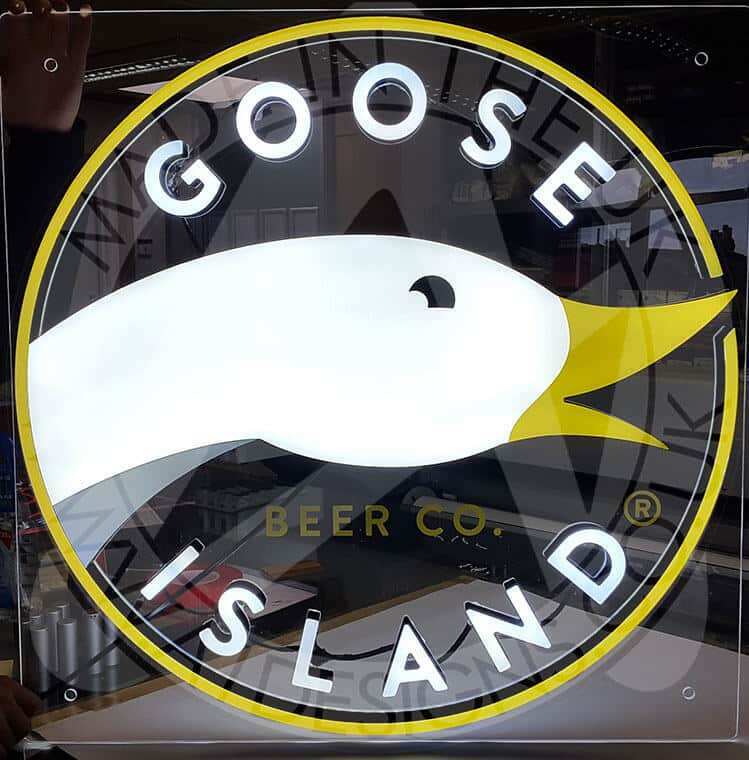 With that said, we can still see a lot of companies attempting to market LED signage as neon, even though the make-up of the signs are completely different. 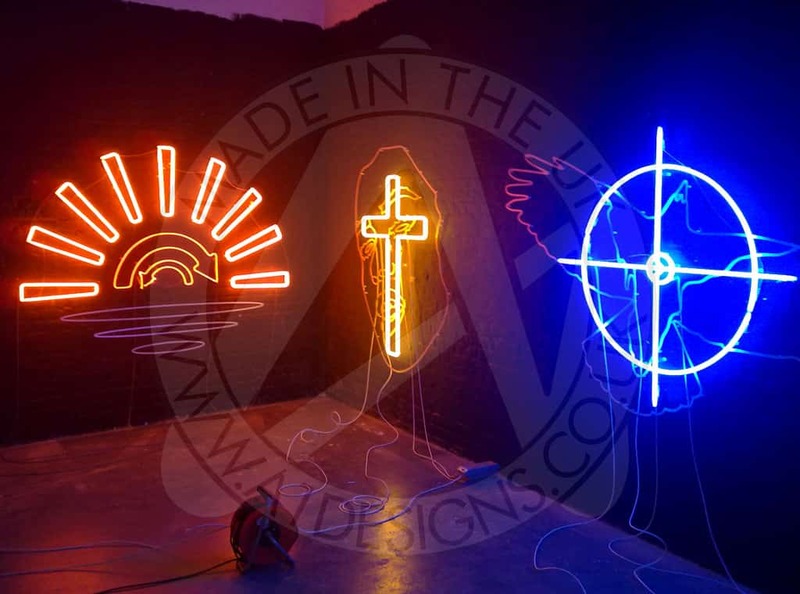 In this article, we will highlight the key differences between neon and LED, so you can make sure you’re purchasing the correct product. 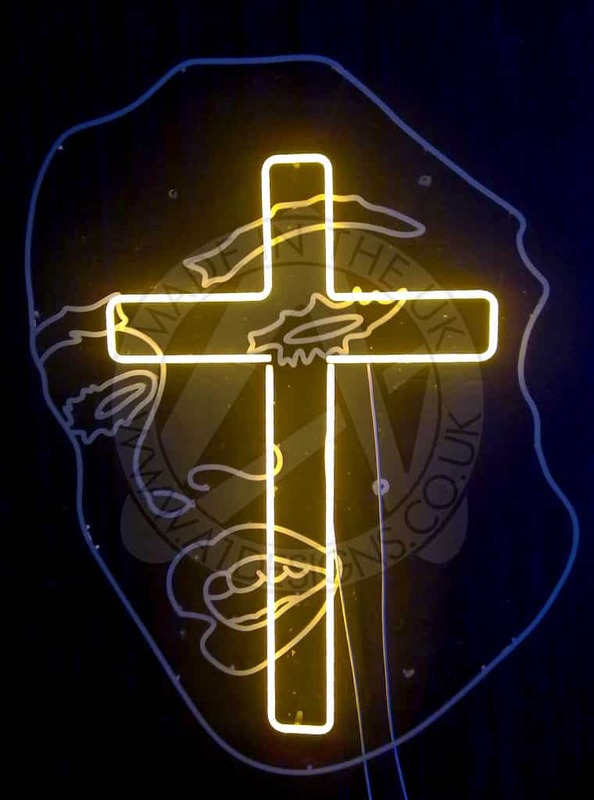 There is only one Neon. 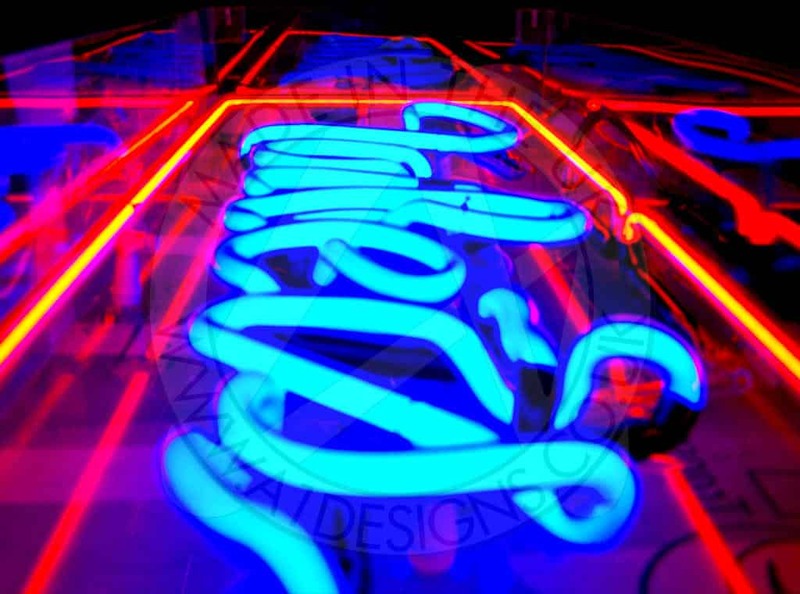 Real neon lighting is made using glass tubes that are heated over an open flame and then hand bent to the desired shape. 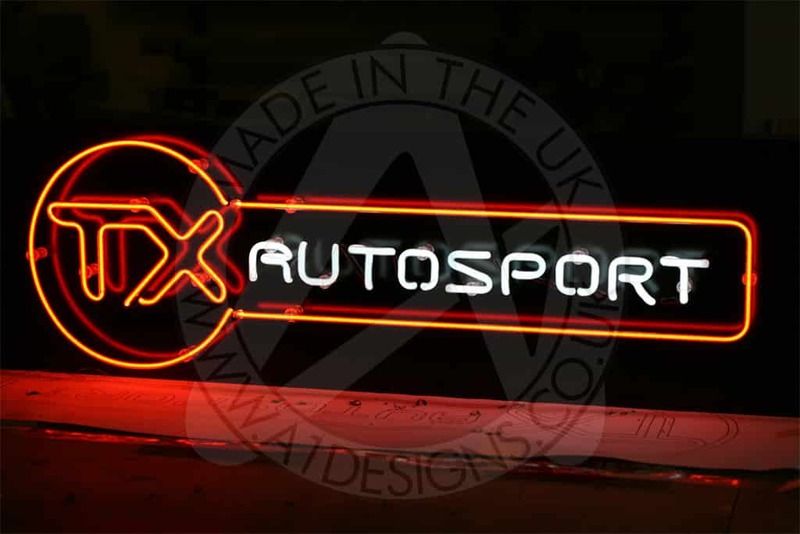 After this they are then filled with an inert gas, primarily Neon or Argon, however others, such as xenon can also be used when making neon signs. 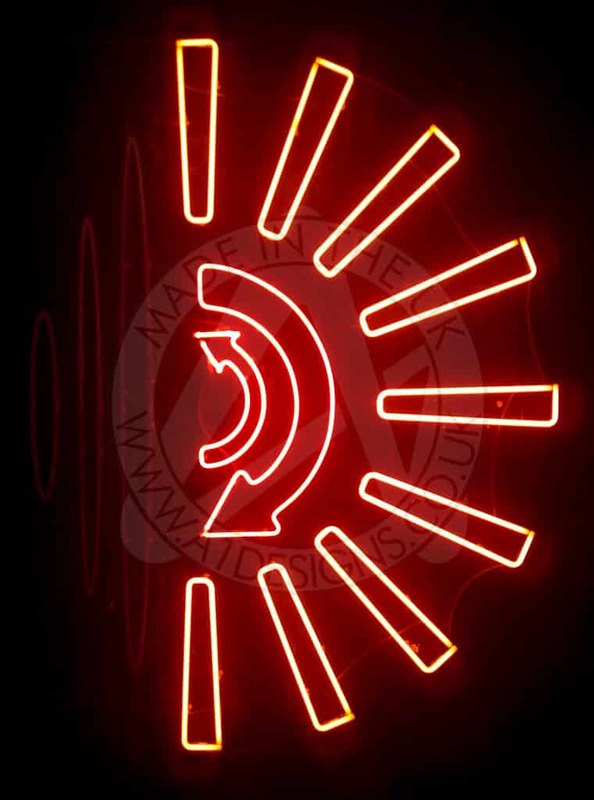 The release of energy with the tubes is what makes them emit light, as they are electrically charged. 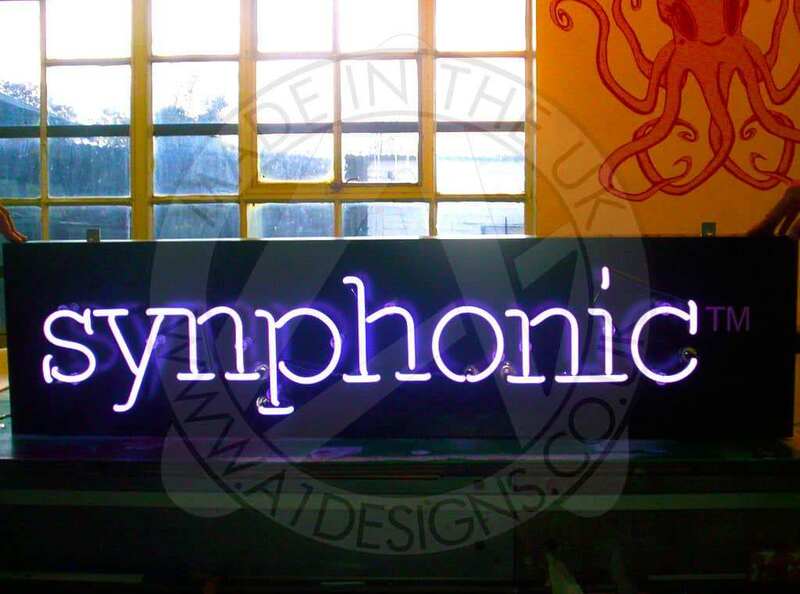 Though neon requires a skilled hand to manufacture, it is actually less complex than LEDs, which are mass produced via machines. 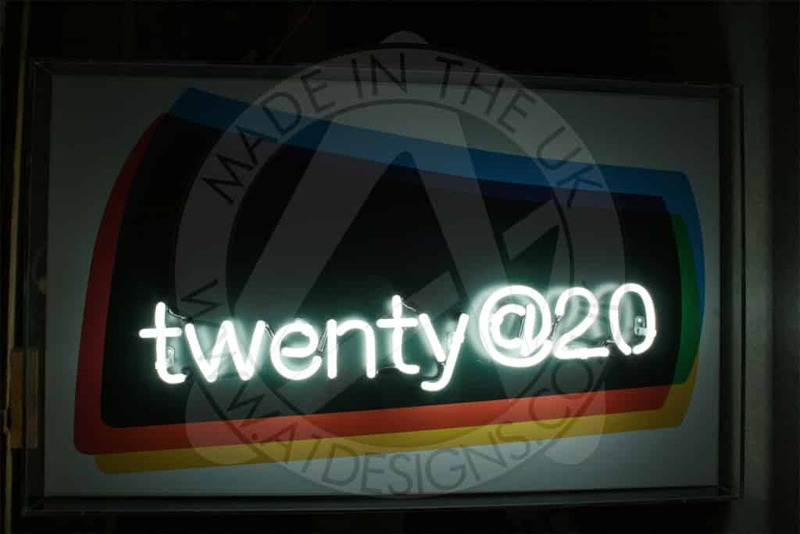 There are hundreds of different types, makes and variations of LED modules and strips, all with varying levels of quality that will affect their life expectancy. 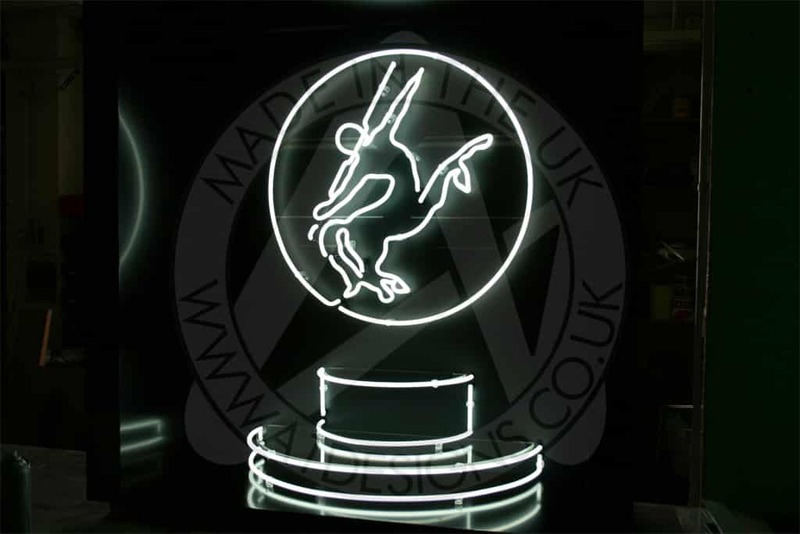 With neon, the quality refers more to the skill of the glass bender and how the finished product looks. Provided the glass tube has been manufactured and filled properly, then the life expectancy of one tube is the same as the next when put in the same environment. 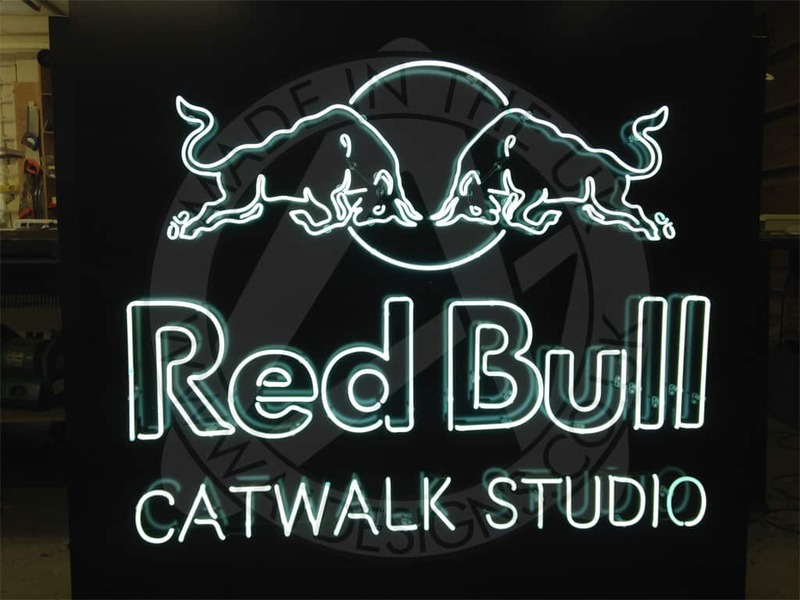 Neon signs are one of the most popular choices for advertising signage, with their visual appeal and protective safety features. 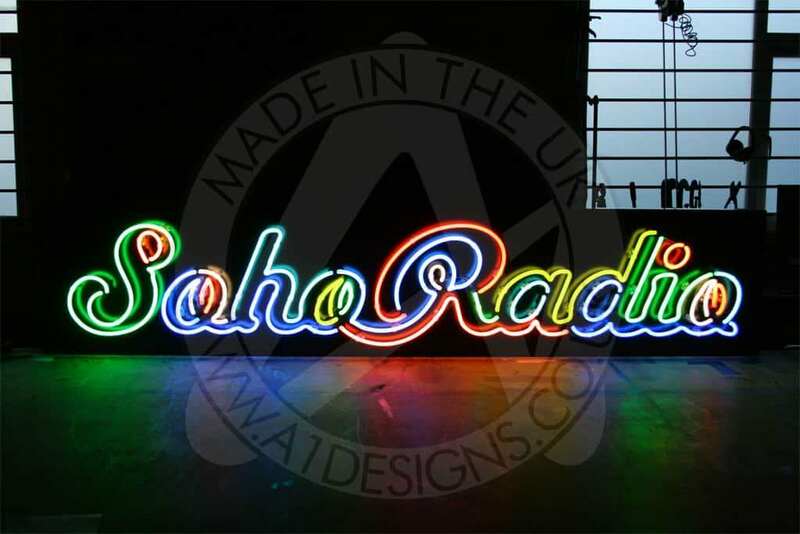 A lot of people turn to neon when they need advertising with maximum impact. 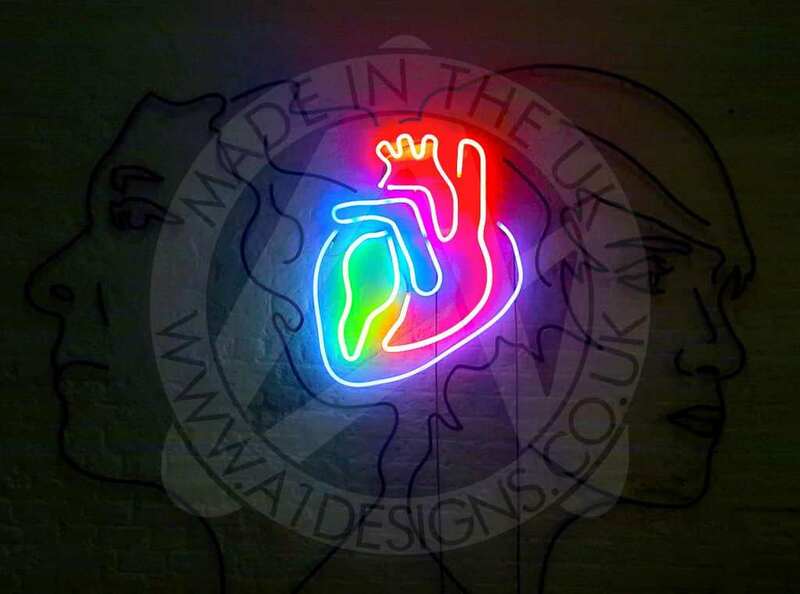 An LED light is made in a totally different way to that of a neon light. 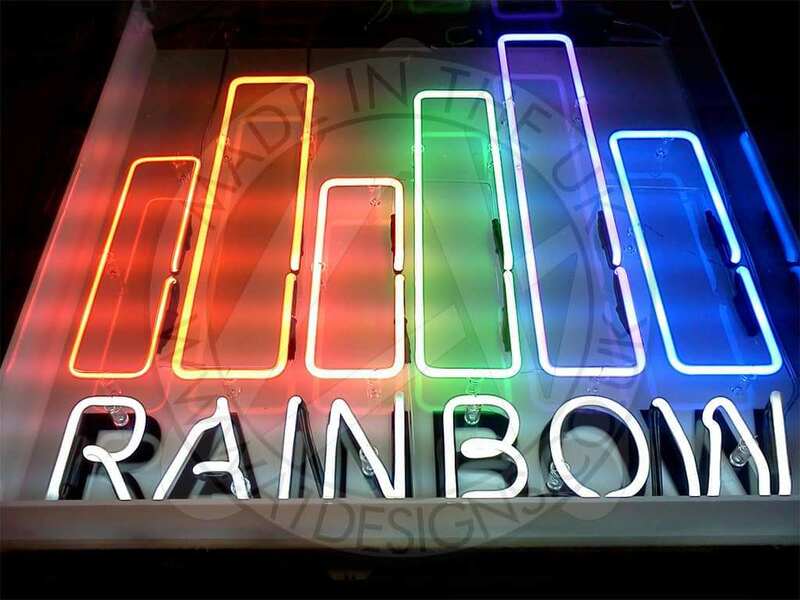 LED stands for light emitting diodes, which are the components used to create LED lights. 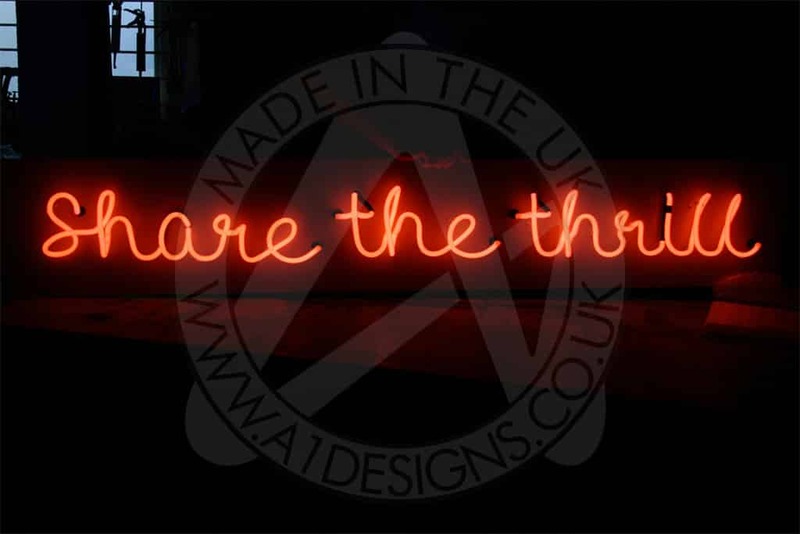 The LED’s are strung tightly together so that the light they emit overlaps to create a steady light source. 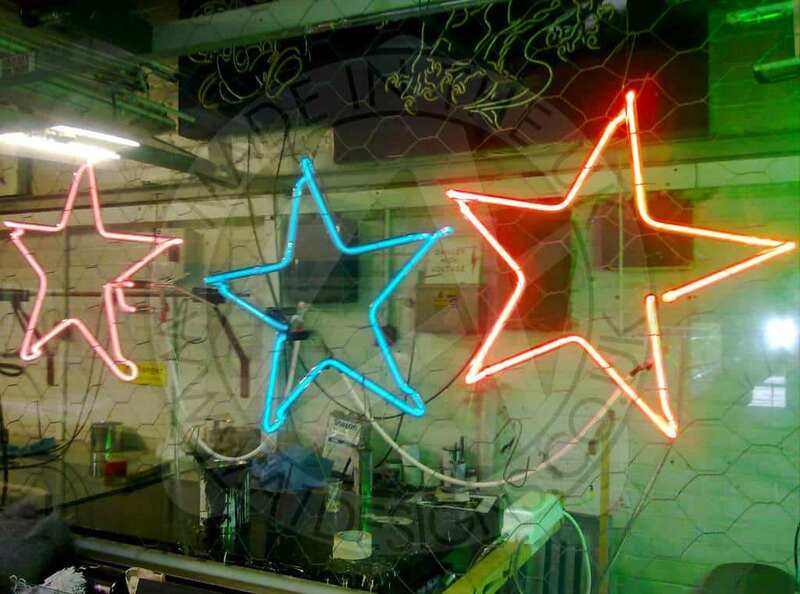 Although neon lights have their own protective safety features, LED lights are generally more robust, with polymer jackets providing protection for each diode. 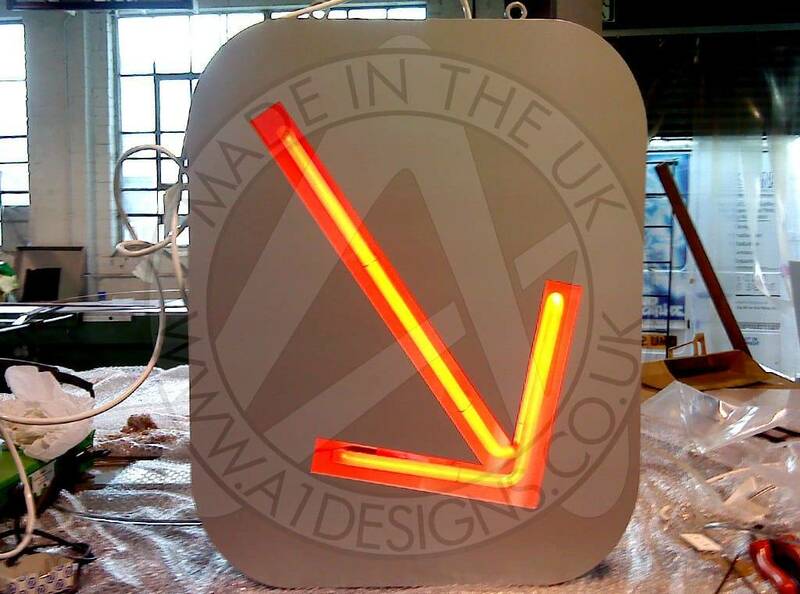 When LED lighting becomes damaged, the diodes can be more difficult to fix as they need to be fixed to the base. 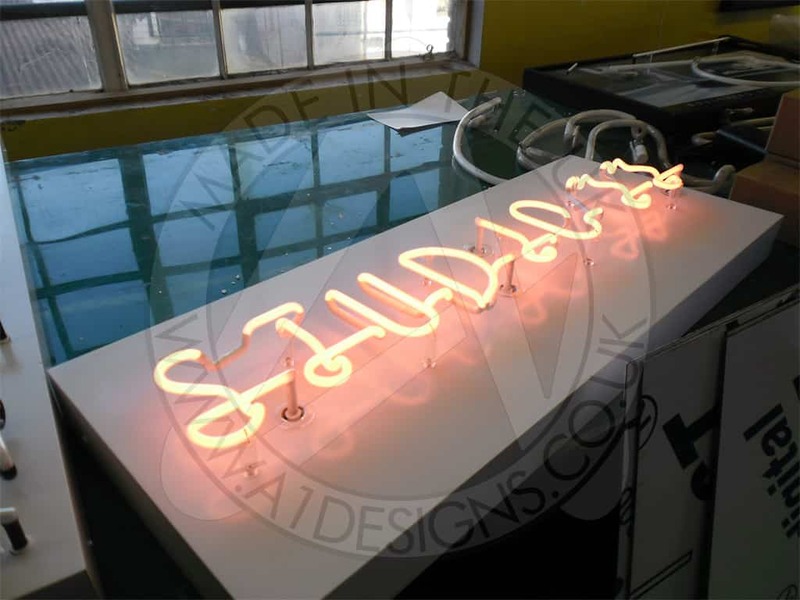 Neon signs are easier to fix when they become damaged as you will usually only need to replace the glass tube. 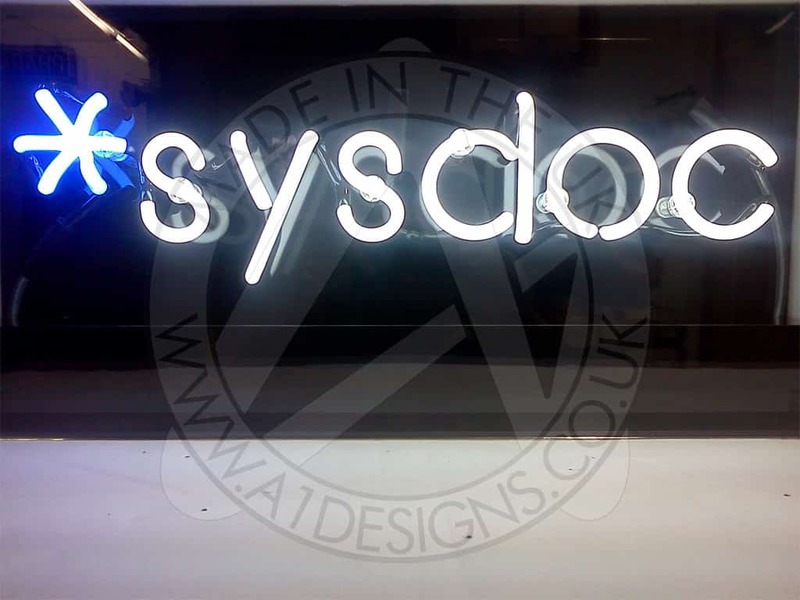 One of the main differences between LEDs and Neon is the way they are actually used. 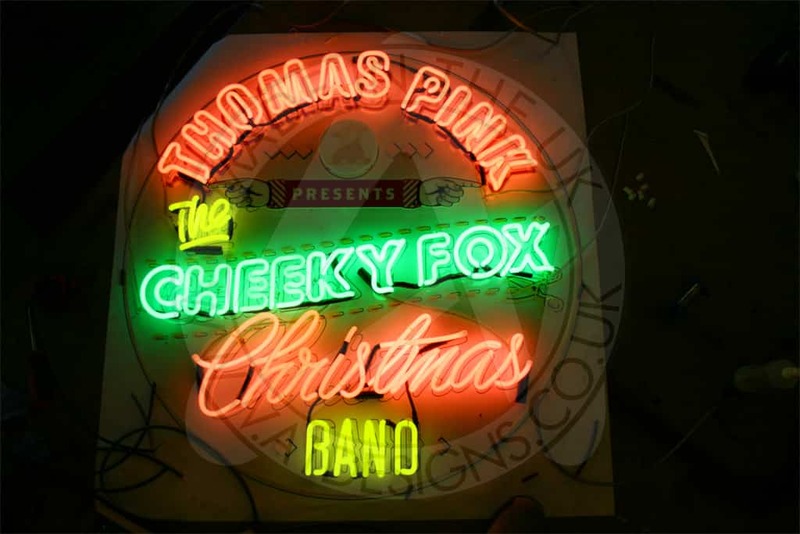 If you have a neon sign, you can display it exactly as it is, looking at the warm glow of the tube is pleasant and easy on the eyes. Because LEDs light up, rather than glow, looking straight at them can be quiteharsh on your eyes. LEDs will usually require some sort of diffuser to avoid hurting the eyes due to the brightness of them. Looking at an led directly can leave you with a similar effect of when you look at the sun, you get the shadow in your vision when you blink afterwards. The first thing to think about is what are you trying to achieve? 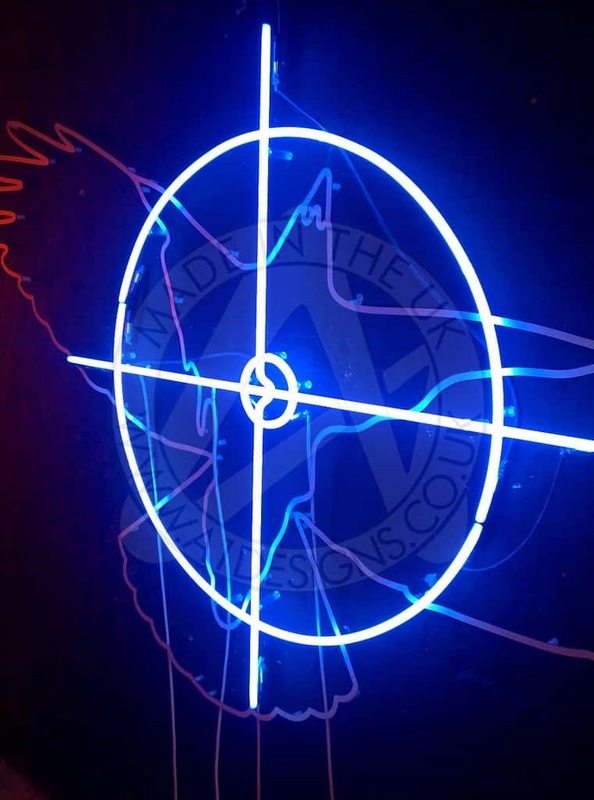 The next is to ask yourself if there are any restrictions or reasons that would rule out one form or the other. 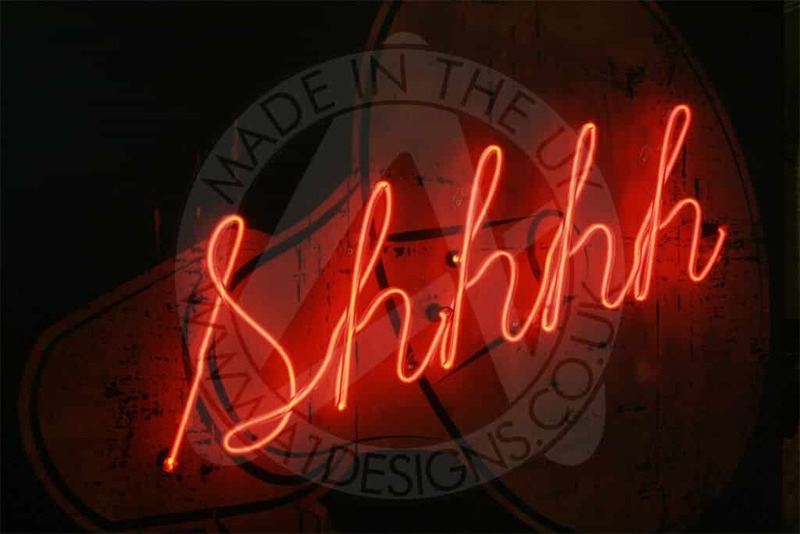 If you are having a sign made for personal use or for your business, then there are no reasons why you couldn’t have either option. 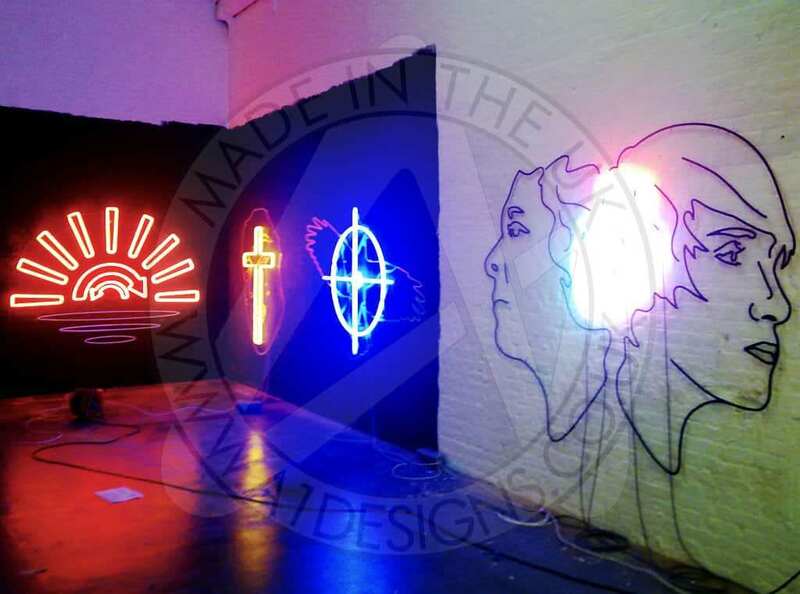 If you are having a piece made for an exhibition, it might be that the venue will not allow neon for one reason or another, in which case, LED is the better choice. 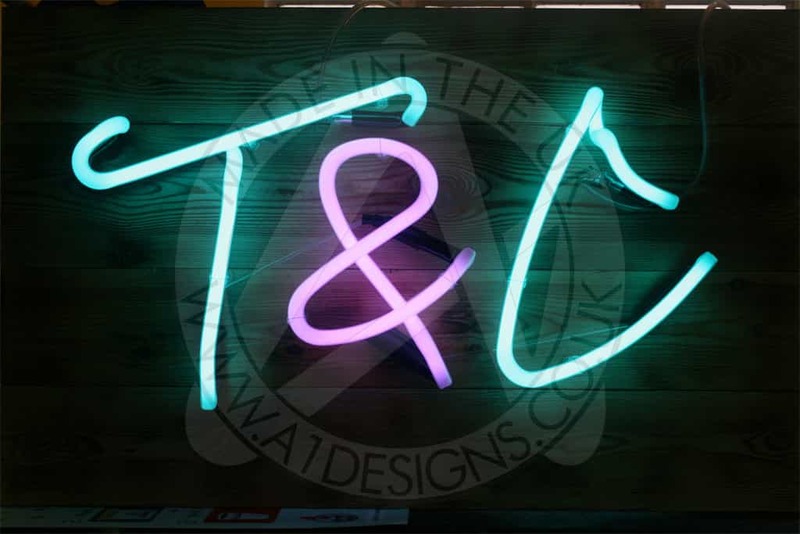 If you are after the smooth, completely rounded look of neon for your sign, then there is really no alternative. 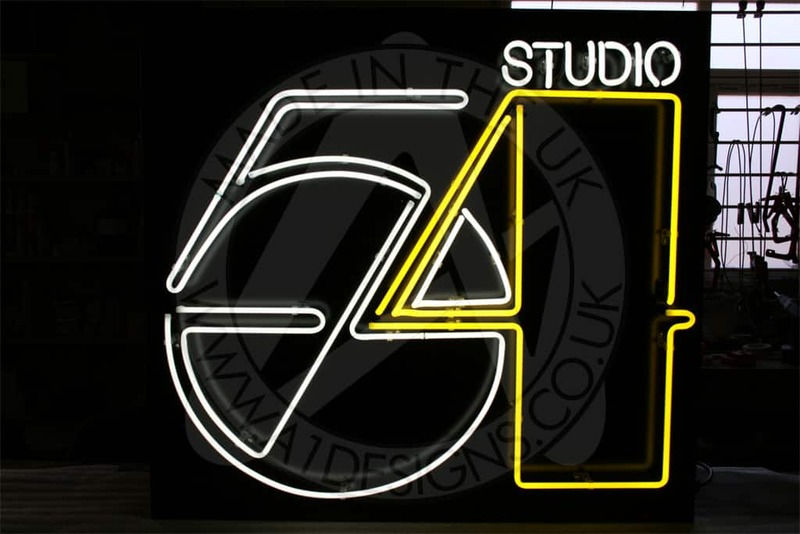 LED signs can have their faces rounded, but though it might imitate the look of neon, it cannot match it completely. 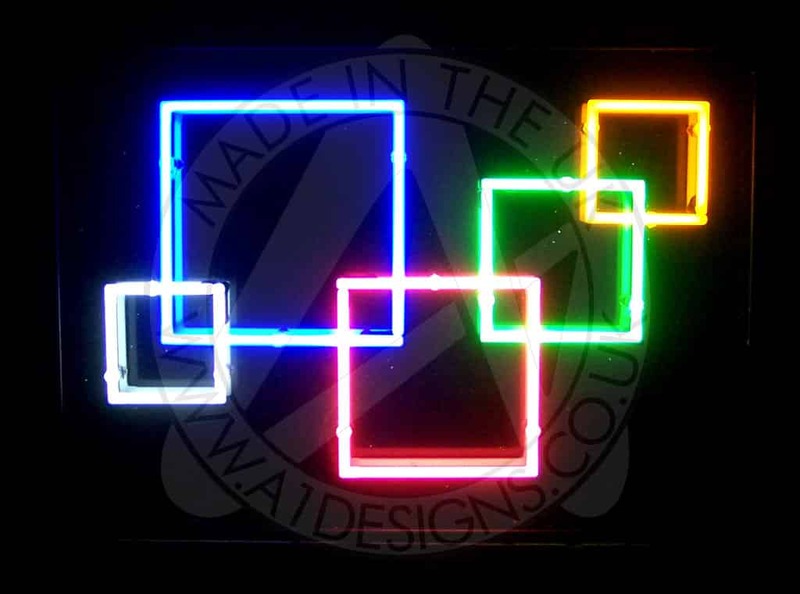 However there are some designs that are better created in an LED alternative, large blocks of colour for example are an area where neon is not always the best option. 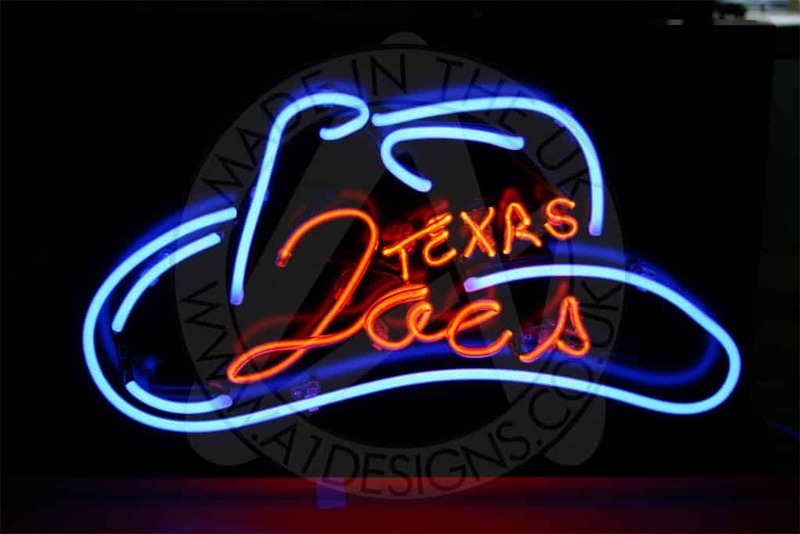 One of the main selling points of LEDs is that they are cheaper than neon. This is both true and untrue. 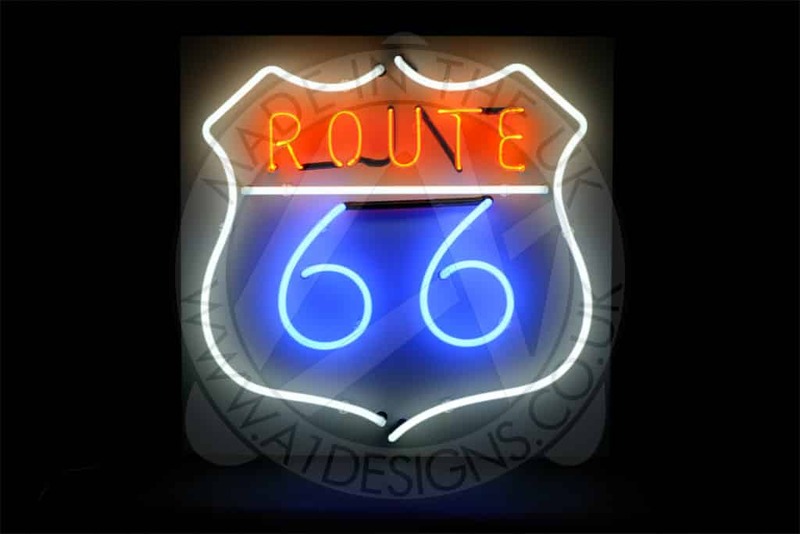 Buying a 5M reel of LED strip or 5M of LED modules, it may very well work out cheaper than 5M of Neon. However you have to factor in the additional work involved and also look at future maintenance costs. 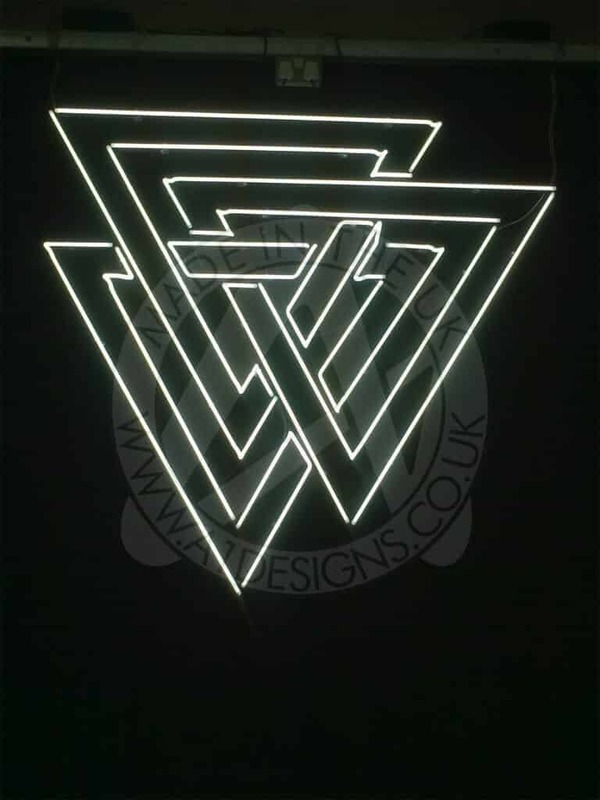 For an LED alternative of neon, you have the cost of the LEDs, then you also have the cost of the acrylic they will be placed in, the time to cut, shape and clean it. 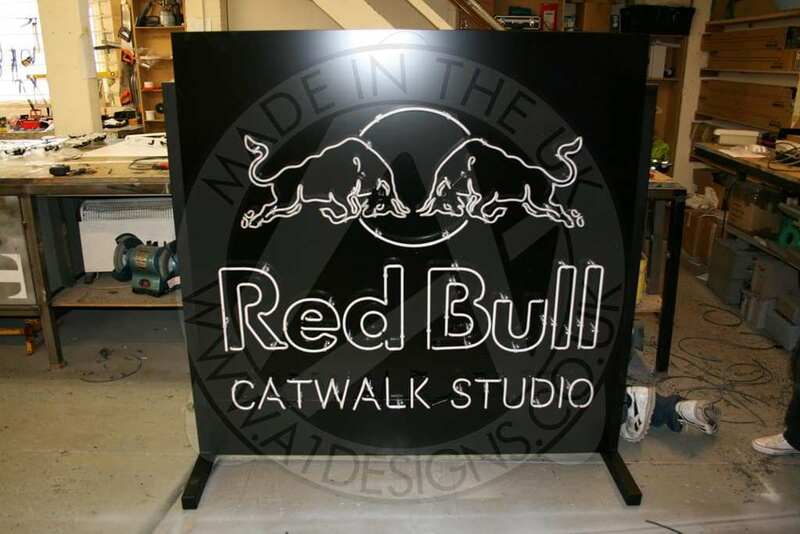 Then you have additional acrylic that covers the back to prevent light leakage, and vinyl around the edges to do the same. 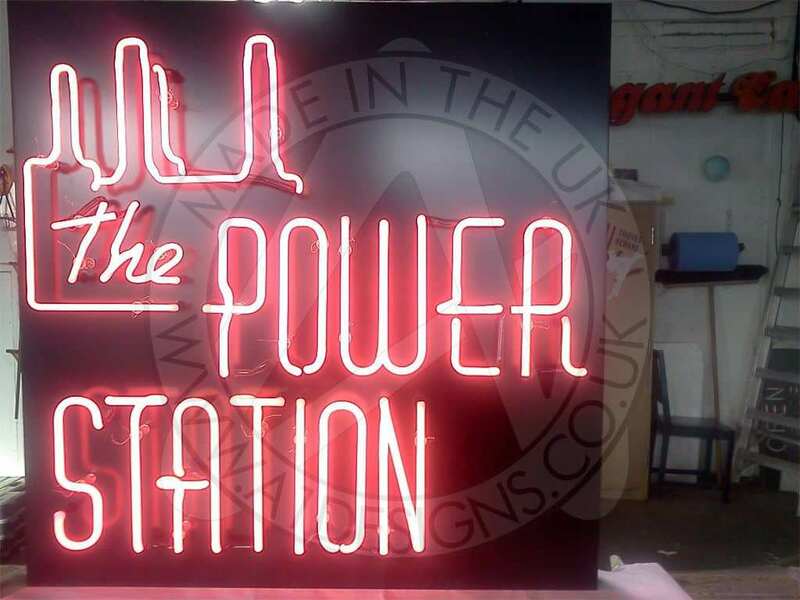 Factor in the time to make and assemble all of this, including the time it takes to solder the LEDs together, and you will more often than not have a sign that is more expensive than the real neon version. You also have maintenance to factor in. 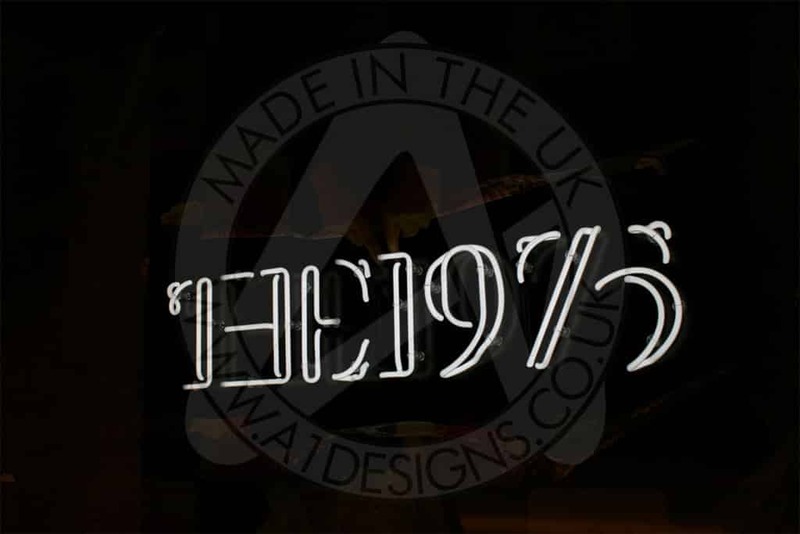 Neon is glass, which means that it can be broken. If a piece is broken then it needs to be replaced. The same can be said about a window or a glass you drink out of, however we have not swapped them for any alternatives so far. 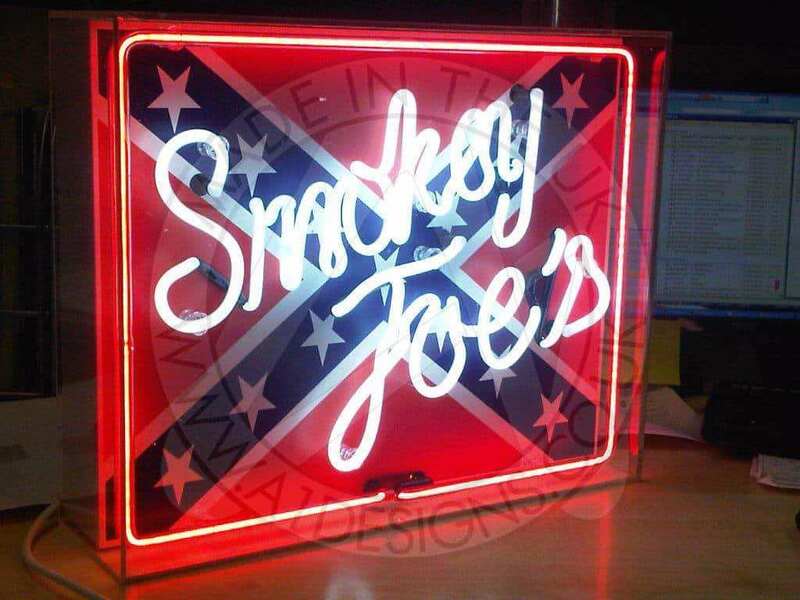 Replacing a neon section is not an expensive task. Depending on size and complexity it can also be remade and delivered within a short space of time. With an LED alternative, the acrylic housing tends not to get broken, though if dropped it can get scratched or chipped and the back of it where the LEDs are housed is more fragile than the front. 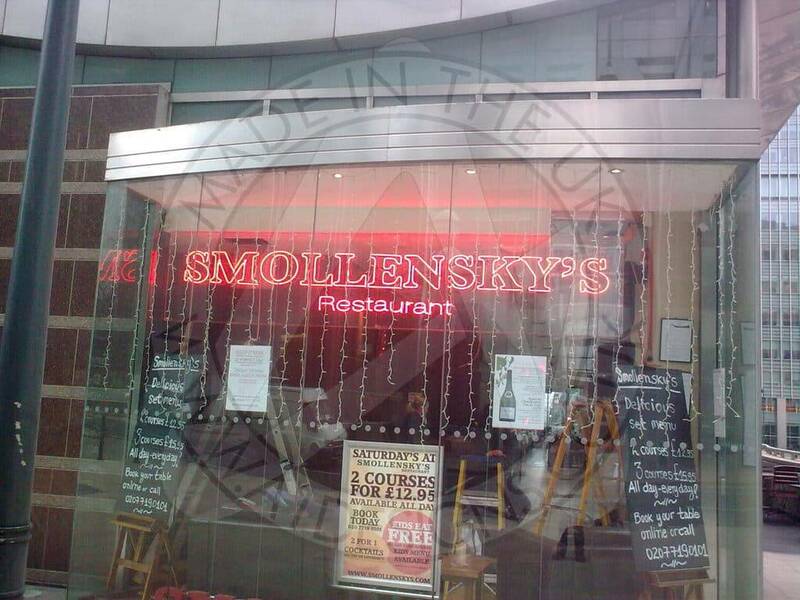 If the acrylic is damaged and needs to be replaced, this can be quite costly due to the materials and time needed. More often than not though, it is the LEDs inside that develop a fault. 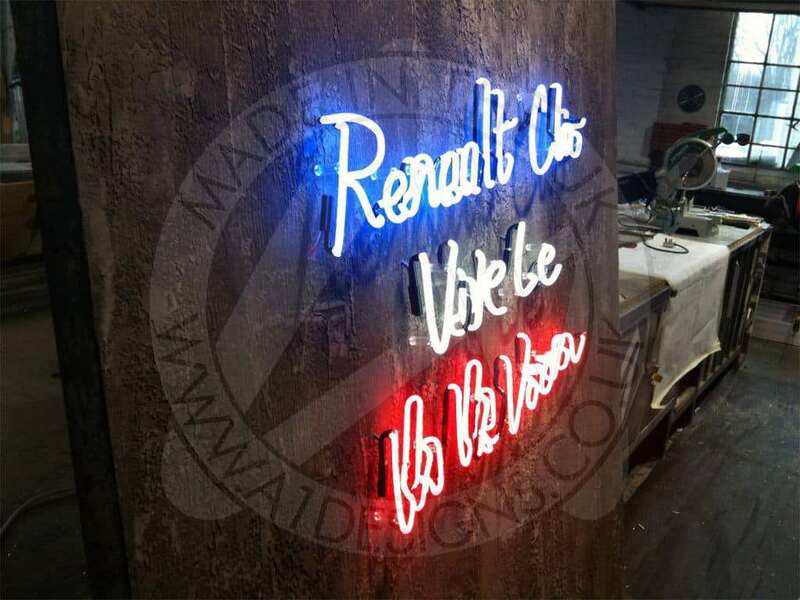 this then requires either the sign to be brought back to the manufacturer for repair or for an engineer to come out and spend time on site fixing the issue, both of which will often work out more expensive than replacing a neon section. 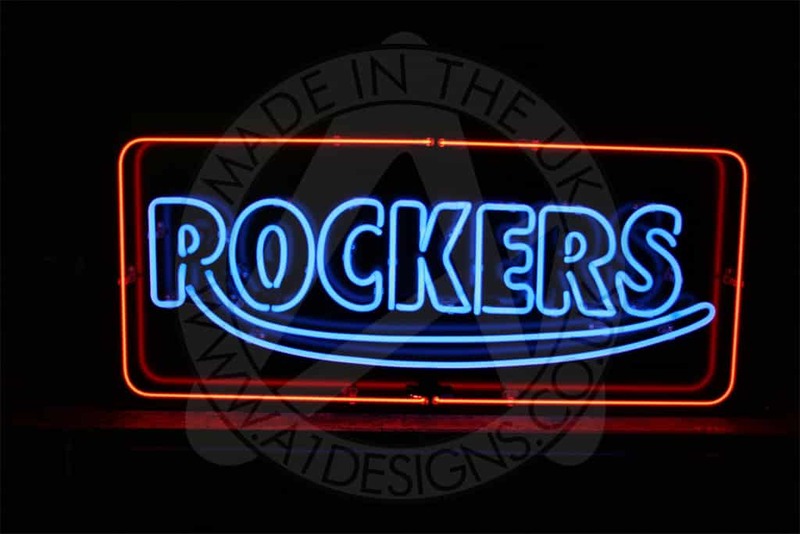 When trying to decide between LED and neon, one of the main things to think about is how it looks. 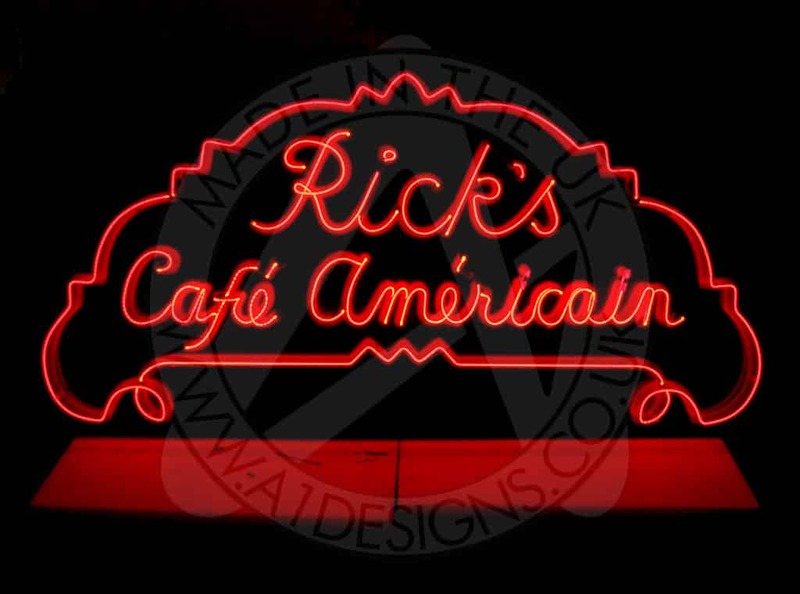 Neon has remained a popular choice for signage for a long time due to its warm, inviting glow. 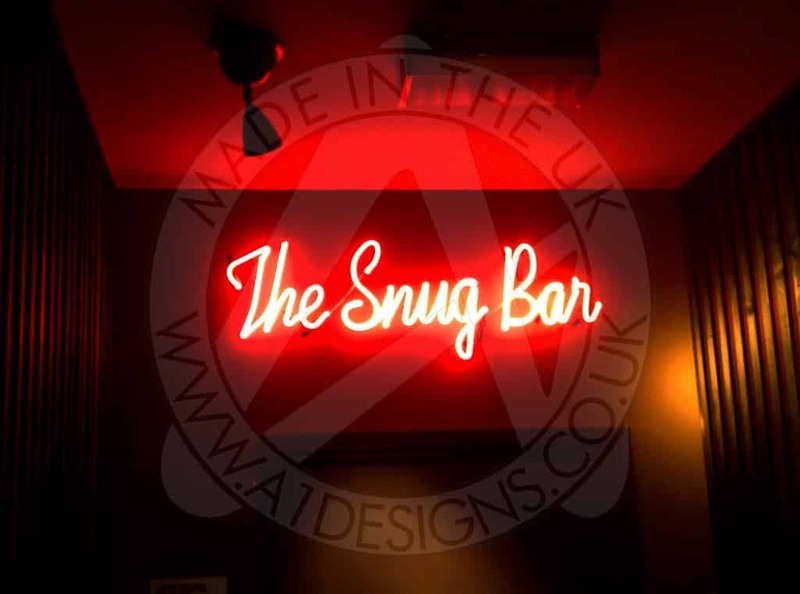 Many people would agree that neon lighting provides a constant reminder of retro glamour. 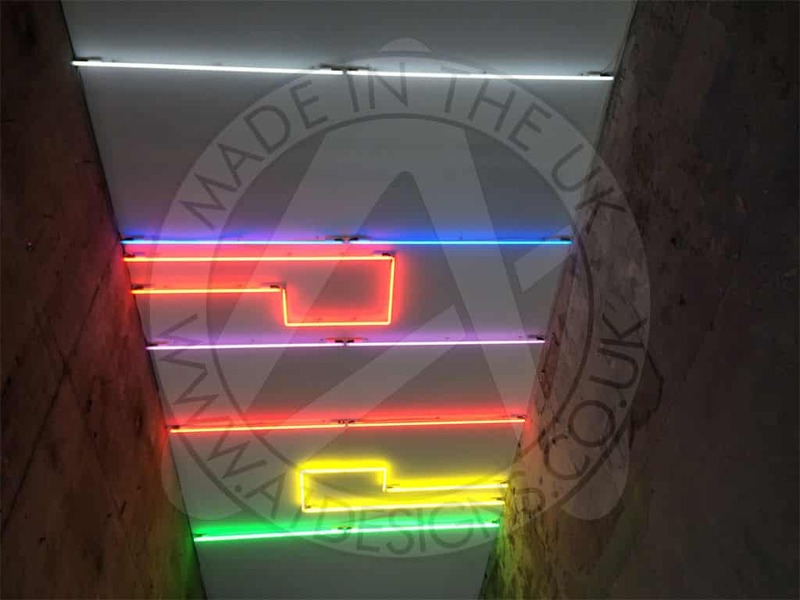 Las Vegas, London and Tokyo are a few of the big cities that have utilised neon over the years, with a diverse range of businesses seeking to use neon as a way of attracting attention. 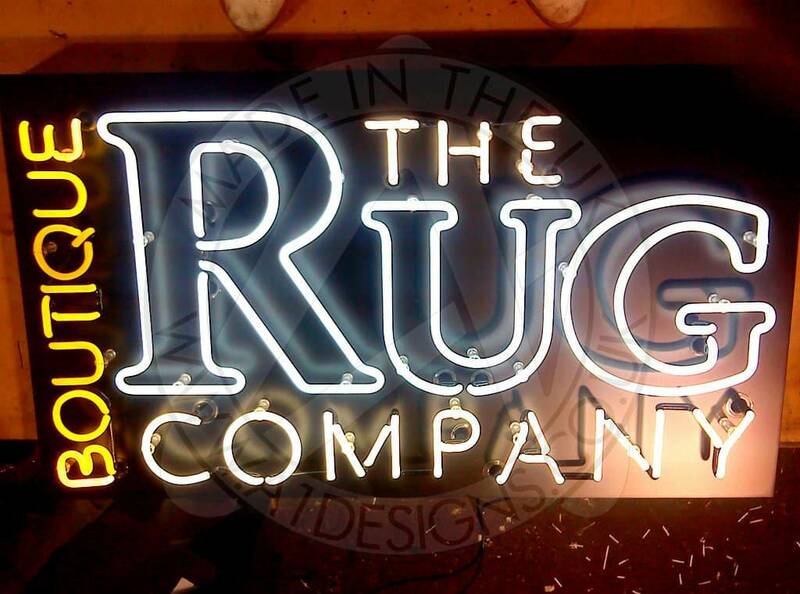 Although LED lighting is more of a modern concept, it offers less curb appeal than that of neon. 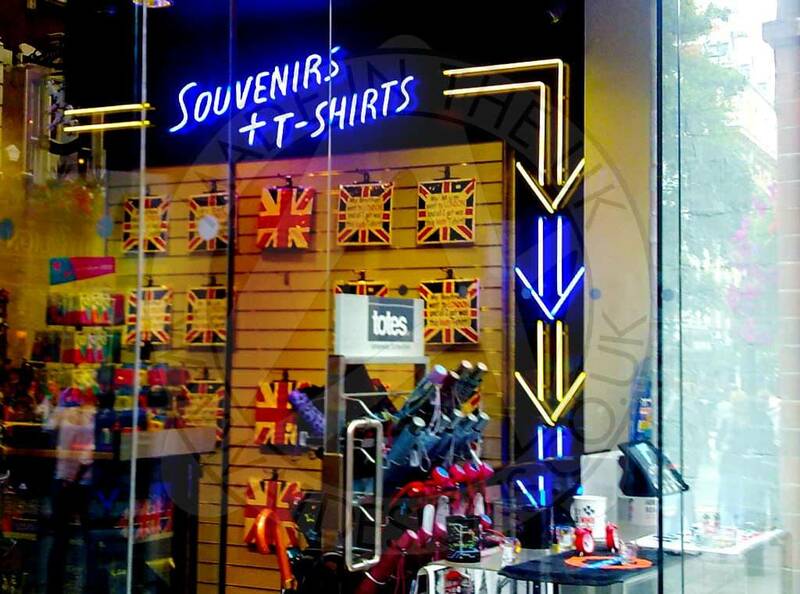 If you are looking to create a warm, welcoming display, neon is a solid option. 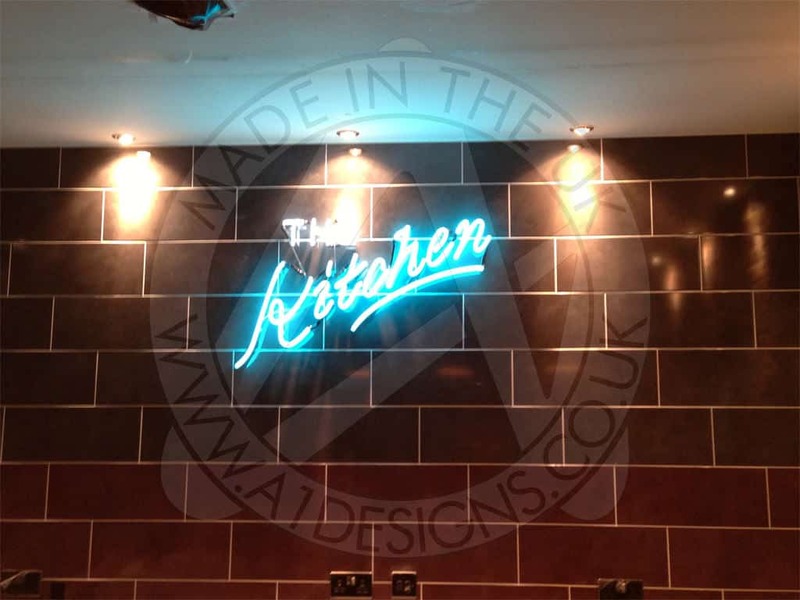 However, if you prefer the more futuristic look, it might be better to side with LED. Taking all things into consideration, it really depends on what you are trying to achieve and the look you prefer. 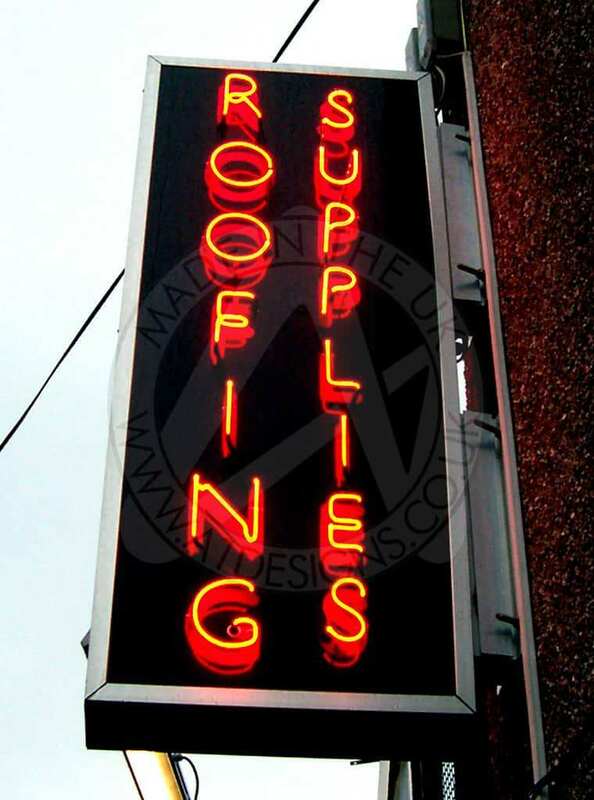 To make a well-informed decision, think about cost, appearance and how you think each sign will impact your business. 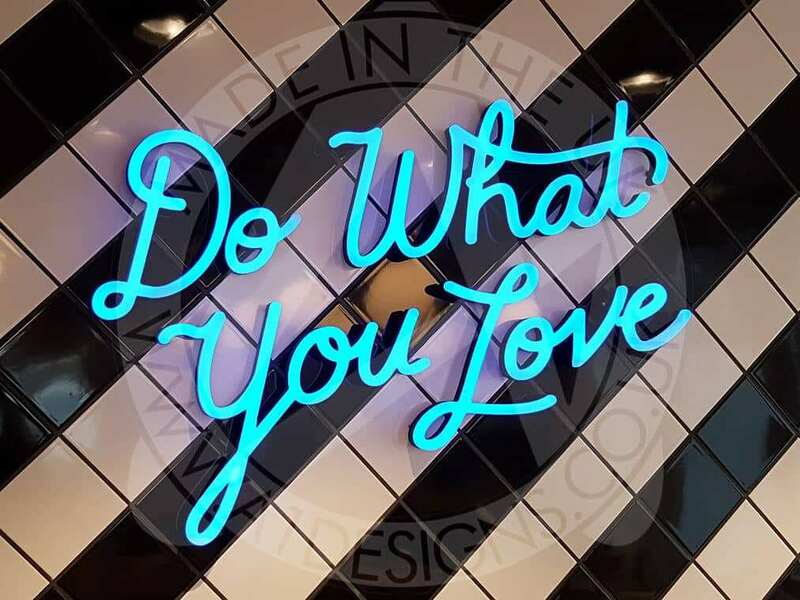 If you’re not attracted to a sign designed to draw attention to your business, it’s probably best to go for the option that appeals most. Ask around, see what those around you think and this will help you with your decision making. 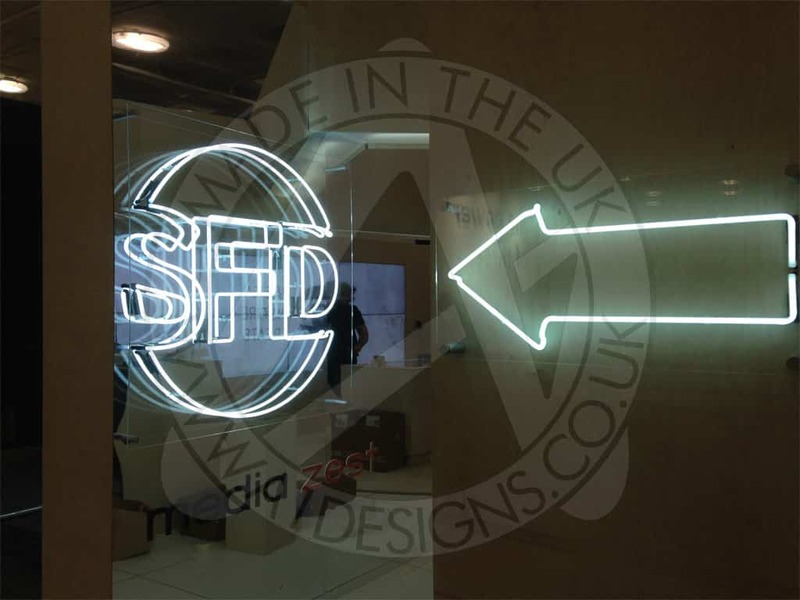 Get in touch with A1deSIGNS to discuss a project you have in mind. 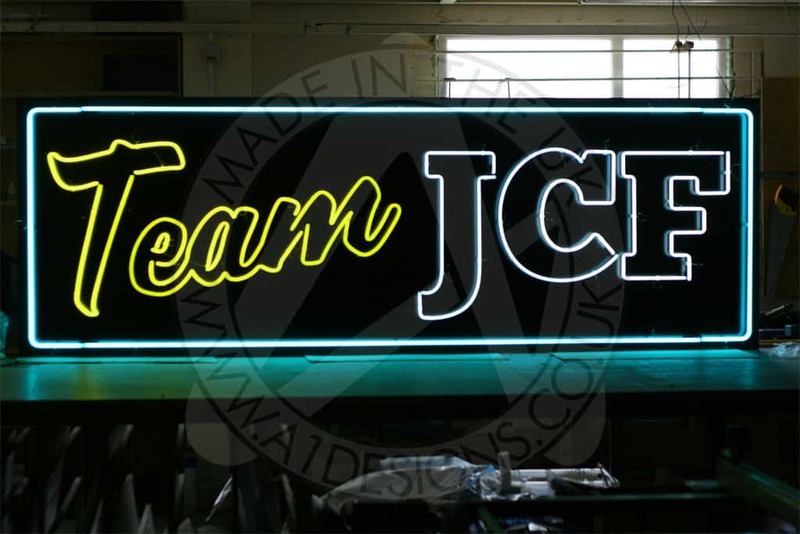 We can talk to you about your different options for LED signs or neon signage.